Accessing NetSim from the CD is relatively simple. Put the CD in the CD drive, and the software on the CD starts. (If it doesn't, run the command autorun.exe that is on the CD's root directory.) After logging in, select the Hands-on Practice Exercises and NetSim Demo Software link in the main menu. Another menu opens that allows you to view the CD-only appendixes of labs and to start the NetSim software. NetSim lets you pick which lab topology to load. You pick a lab topology, and you next see the NetSim user interface. You can think of what you see next as a real lab, with real routers and switches. 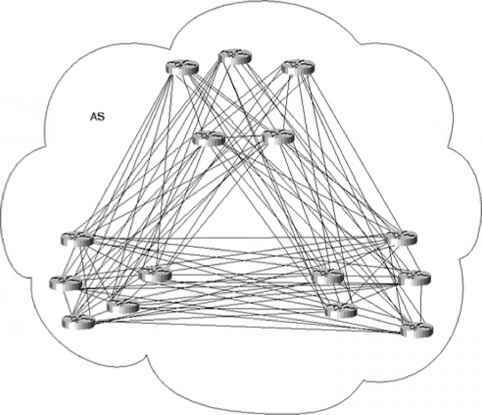 The cabling topology and interface numbers match the labs and scenarios in this book. So you can access the devices and start entering commands! The NetSim software includes the NetSim user guide, which helps you figure out how to navigate and use the NetSim product. (Just select "help" and "User guide" from NetSim.) However, the user manual does not tell you anything about the hands-on exercises you can do with this special version of NetSim! You can always just experiment using NetSim, trying all the commands you can think of, but remember that this is a limited-use version of the software, so not all commands are enabled. If you want some instructions on good things to try to do with the simulator, read the next section. It lists all the labs and scenarios in this book that can be performed using NetSim!